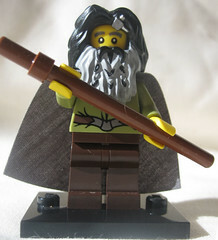 Hello Merlin's Beard, I've been thinking about getting LEGO 79001, but it went out of stock on LEGO Shop. I've found a sealed one for 33.00 USD Free shipping. Hmmm. I personally would not buy, but that is because my Walmarts had some for $21.00 even up to a few weeks ago. If you have any local Walmarts, it may be beneficial to check them firsthand. I would sell you one for $21.00, but I already parted them all out. Sorry. My motto on buying LEGO is, "buy now or forever hold your peace." LEGO has a way of disappearing quite quickly once it retires, and if its not city, it usually rises in price fairly fast. EDIT EDIT*** Looking on the website, I see that there are three Walmarts near me that have at least one for $21.00. In my opinion, it is not a great parts pack, so if you just want specific things from it, like the figs, then I would just buy them from Bricklink. If you want the actual set to be displayed or something, then I would go with Schmidt's suggestion. Thanks Guys I checked Walmart.com and it said that there was not one within 50 miles of me. I think I'll go with Bricklink. Thanks guys. What parts are you a after? I really like the DK. REd leaves and the Figures. 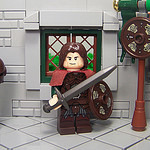 Just bricklink, imho. It would be best. Unless you are really intrested in the black its not really worth it unless you can get it on clearence.